The Shriver Center and UMBC specifically, was one of the founding partners with what is now known as The Campus Compact Mid-Atlantic (formerly the Maryland-DC Campus Compact), a non-profit membership association of public, private, 2- and 4-year colleges and universities. MDCCC provides leadership to colleges and universities in Maryland and Washington, D.C. by advocating, supporting, and encouraging institutional participation in academic and co-curricular based public service and civic engagement programs. MDCCC strengthens the capacity of member institutions to enhance student learning and to meaningfully engage with communities. MDCCC is supported through a combination of institutional dues, federal and private grants, and in-kind contributions. The MDCCC office is housed by Hood College in Frederick, Maryland. Campus Compact Mid-Atlantic VISTA programs join the mission of Campus Compact and AmeriCorps VISTA through projects that build campus-community partnerships to fight poverty. Through the Campus Compact VISTA program, we alleviate poverty by strengthening communities and developing our leaders. 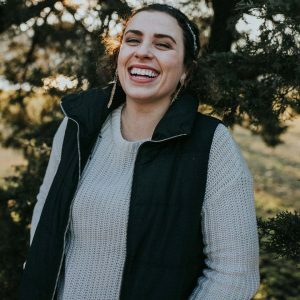 CURRENT PROJECT (2018 – present): Lauren Kataja‘s VISTA project will work in partnership with Retriever Essentials (https://retrieveressentials.umbc.edu/) to address food insecurity on campus. For a little bit more about Lauren please see her Bio below! My name is Lauren Kataja and I was raised in Concord, North Carolina, home of the Avett Brothers and the Coca-Cola 500, but I attended the University of Tennessee in Knoxville. I took the leap of attending a university in a completely new city because I was drawn by the university’s overarching call to become “true Volunteers.” Community service had always been a part of my life growing up, and through my time at UTK I developed and sharpened my skills as a student leader, servant leader, and viable volunteer on my campus and in the community. I graduated in December 2017 with a degree in Honors Sociology with an Environmental Issues Concentration, and am so excited to be using my brain again within my AmeriCorps VISTA Position with the Shriver Center and the Retriever Essentials program! I conducted my honors thesis on the gap of government food assistance programs and the realities of hungry Americans, and I am looking forward to expanding that knowledge into serving the students, faculty, and staff on UMBC’s campus that may face food access obstacles. In my free time I enjoy watching videos of pugs, cooking, hiking, reading, and attending community events centered around social justice, cultural awareness, or anything in between. I’m new to the Baltimore area and can’t wait to explore all it has to offer! 2015-2018: The UMBC/Refugee Youth Project College Access Mentoring Program College JUMP (Journey Upwards Mentoring Program) created and implemented a near-peer college access mentoring program between high school refugee students and UMBC volunteers. By engaging students in college readiness workshops and activities, the project increased the number of refugee youth that successfully enroll in two and four-year institutions. College JUMP Coordinator Alexis Logan-Brown was born and raised in Frederick, Maryland. She is a recent graduate of the College of Charleston in Charleston, South Carolina where she majored in International Studies with minors in Political Science and Psychology. While at school she studied various languages and was able to travel to the Middle East, which increased her interest in international and refugee politics. She was able to become the President of the Arabic Club and head a program for international students studying at her university. 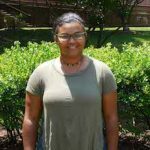 Through various organizations, Alexis has striven to increase the number of ethnic minorities on college campus’ and increase the information and networks available to minority students looking into higher education. In the future, Alexis hopes to be an advocate for refugee rights and international relationships with conflict-ridden countries.